NBN News | CREATIVE MAGPIES OR BIRDS OF STEEL? Home Newcastle News CREATIVE MAGPIES OR BIRDS OF STEEL? CREATIVE MAGPIES OR BIRDS OF STEEL? 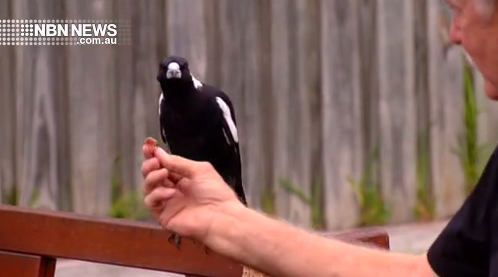 A Newcastle pub with a family of resident magpies has been gifted a work of art with a difference. It’s a nest crafted from steel… the bird-made structure revealing the creative side of an Aussie icon. Can you please fix the video? It’s coming up with an error. Hi Bruce, we don’t seem to be having any technical issues on our side. Is the software on your computer up to date? Thanks, it’s working now. I may have been too quick – having looked for the story only just after you aired it on the nightly news.